Springtime is the perfect time to start thinking about downsizing or eliminating clutter. For Seniors it can make their surroundings safer, minimize the risk of falls, lost medications, etc. Here are four tips to follow this Spring when cleaning or organizing your loved ones home from Wesbury’s Help at Home Staff. Make a to-do list. List out any areas within the home you want to focus on, or are areas of concern. For example: the medication drawer or food pantry – are there any outdated medications or food items that need disposed of? Enlist in help, whether it is friends, family members or a hired Companion. The phrase “many hands make light work” comes to mind. Cleaning as a group will get the job done faster. Think of having the cleanup day serve as a gift for Mother’s or Father’s day, and you can have a family cookout afterwards. Include your loved one and get their permission. Make sure they have a say in what stays, goes, and how it is organized. Cleaning can be overwhelming, and if you’re moving their belongings to new locations you want to make sure they know the location! Focus on safety and check smoke and carbon monoxide detectors. How can your loved ones home be organized to make it safer for them. 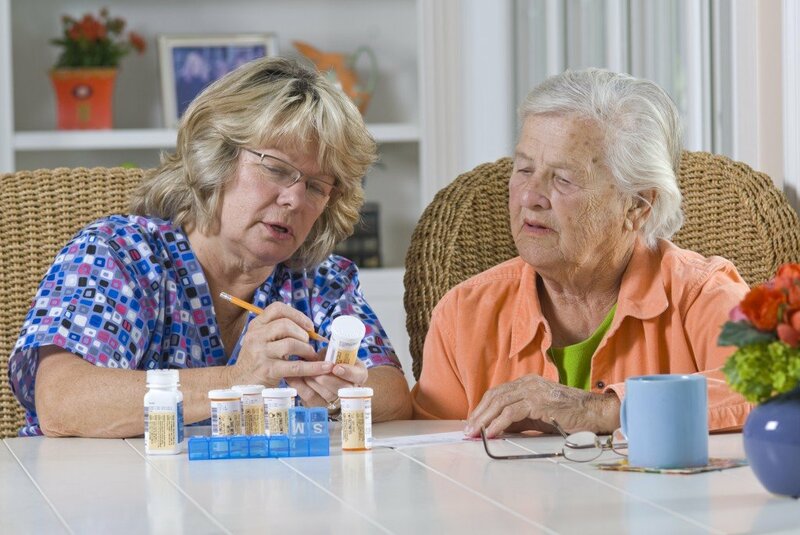 Is there proper lighting in the home so they can see when taking medications, or going about their daily routine? Are there any cluttered hallways or rooms causing a tripping or fall hazard? Are frequently used kitchen pots and pans in a location that they can safely reach them? Do grab bars need installed in the shower? If you see your loved one struggling with day-to-day tasks such as meal preparation, changing the bed linens, dusting or running the vacuum. Help at Home with Wesbury is here to help! “Help at Home with Wesbury” is a collection of convenient, in-home Senior healthcare services not only available to residents who live at Wesbury but to anyone living in Crawford, Venango, Erie, and Mercer Counties. Services include companion care, meal delivery, housekeeping, handyman services, medication management, personal emergency response systems, in-home hair care services, and skilled nursing care in the home. Our Staff is required to complete a PA Criminal Background check, TB testing, Hepatitis B screening, and drug testing to ensure safety for you and your loved one. Every staff member is required to complete 12 continuing education credits per year to stay up to date in credentials and training. If you have questions or would like additional information please call 814-332-9186 or email HelpAtHome@wesbury.com today!